The state’s four Native Hawaiian Chambers of Commerce have entered into an alliance. 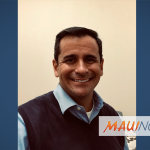 State Sen. Brickwood Galuteria made the announcement at the 12th Annual Hui Holomua Business Fest presented by the Maui Native Hawaiian Chamber of Commerce (MNHCoC) in Waikapū on Maui on Oct. 17. This past May, Richard Fernandez, immediate past president of O’ahu’s Native Hawaiian Chamber of Commerce (NHCoC), initiated a formal Memorandum of Agreement between the Native Hawaiian chambers of Oʻahu, Maui and Kauaʻi. News of the agreement prompted Big Island farmer and businessman Richard Ha to reconstitute the former Hawaiʻi Island Native Hawaiian Chamber of Commerce (HNCoC), which has agreed to join the alliance while formalizing a new charter. In late September, at the invitation of Oʻahu’s NHCoC, representatives of the four organizations met in Honolulu for an exploratory meeting. The half-day summit was facilitated by Fernandez and Kumu Ramsay Taum of LEI of the Pacific, LLC. As a result of that meeting, all four chambers agreed to adopt the Aloha Spirit Law (HRS §5-7.5) as their collective code of conduct. 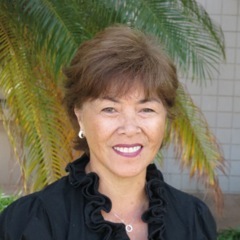 KNHCoC President John Kaohehauliʻi agreed. 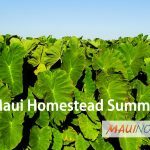 “Each island chamber has its own issues, but we all share the same desire: to make sure Hawaiians can afford to stay in Hawaiʻi, not just to survive, but to thrive,” said Kaohehauliʻi. Richard Ha, acting president of the developing HNCoC, believes the new alliance will broaden discussions about Hawaiian issues throughout the state.